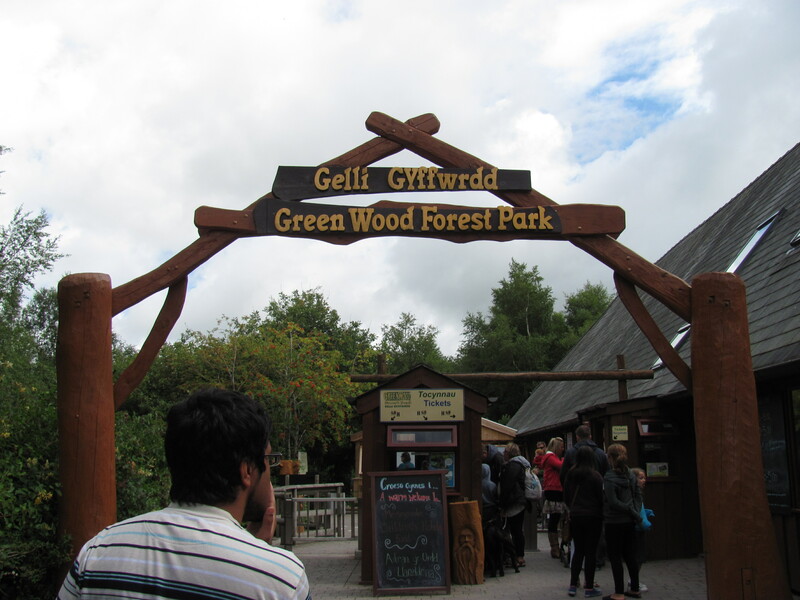 When we were in Wales, I spotted a leaflet for Greenwood Forest Park and then remembered that I had been told about this place by another blogger and that it was supposed to be really good, so we changed our plans around a bit for the day and headed down there! It has been voted the Best Family Attraction in North Wales for 2011 and 2012, and understandably so as there is loads to do. I would definitely recommend it! The car park is just across the road from the entrance there was plenty of spaces, and only about a 2 minute queue to pay and go in, and we were off! The younger two had spotted some ride on cars at that point so had run off to do that with their dad, so meanwhile Mr Z had a turn on a digger machine. This does cost an extra pound, there are a few features which cost extra, but not a lot most things throughout the park seemed to be free. This was pretty fun and a very cool feature, as we hadn’t tried anything like that before. By the time we caught up with the others, they were in the play barn. This is for age 3 and under and Mr T and Mr R were having a great time in there. I could not believe it that Mr R was climbing on all the equipment and down the slides! He never did that before, in the past every time I took him to soft play he would be so cautious and scared and I couldn’t even persuade him to go down small slides! Obviously something has just clicked with him now and he has realised it is fun, and he will be okay to go for it. So I was really happy to see him doing this! After this I took Mr T on the green dragon coaster. This is a totally eco friendly roller coaster which is powered by the weight of the passengers – not something I had heard of before! Mr Z didn’t want to go on but Mr T is never scared of any rides so although he is younger I just took him and he loved it. The queue was not too bad, although I did hear other families in the queue complaining that it was sooo long it really wasn’t! 😉 There did not seem to be any arrangements for disabilities/autism and queueing, but as it was only the one ride I just decided to manage Mr T in the queue and masha Allah he did well! The rollercoaster ride is quite a quick one, but it is fast, and it is fun! While we were doing that, the other boys had found a sandpit area with their dad and were happily making sandcastles, which Mr T wanted to join in too once we got off the ride. There were plenty of buckets and spades available in the sand area and it wasn’t crowded at all. Once again, I was so surprised Mr R could manage to climb up this and was happy to slide down! They are not easy for a small toddler! Since he turned 2 he seemed to have got so much determination though, and he had a lot of fun on the bouncy slide! The next slide was the Great Green Run. This is very cool, you go down it in a kind of sledge. There is a big version and a smaller version, so their dad took Mr Z on the big one and I kept an eye on the younger two on the small one. They went down it so many times, as there was no queue at the time they just kept going round and round it again and again and were having so much fun. I haven’t seen this kind of slide anywhere else, as it is slightly different from the usual ones were you go down in a sack. The gradient looks quite shallow, but they actually went down it really fast in the sleighs, so it was great for them! They did also enjoy the Tunnel Warren but didn’t stay in it for as long. Mr Z really enjoyed the naughts and crosses game they have in there. There’s a lot more in the park which we didn’t get chance to see or do, like archery, a bare foot trail, or the forest theatre but as we only in Wales for a few days we had to pack in quite a lot and couldn’t stay for the full day as we had more planned for the rest of the day but it definitely could keep children entertained for the full day if you had more time. You can have a look at the full map here. 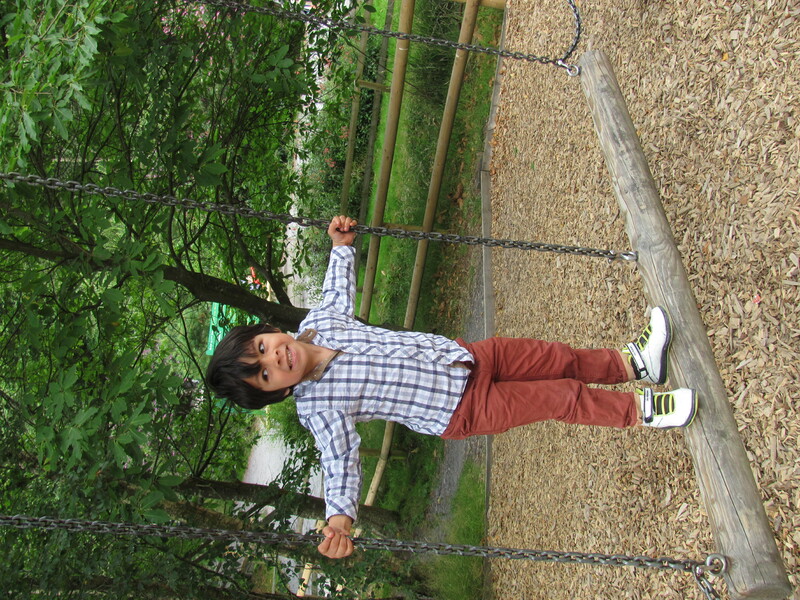 It’s a great place for families, I like how it has combined lots of really exciting activities for the children with still having a really natural and outdoorsy feel. It doesn’t have that packed out and very commercial feel that you get in the big name places. Don’t get me wrong, I do like that in its own way! but I found this place quite refreshing and calm. I would definitely recommend it to other families who may be holidaying in the area, and I would happily go again. Thanks to Life, Love and Living with boys for suggesting this day out to me! You can read their review of Greenwood Forest park here. looks like a lovely place to visit, we have been to wales and really enjoyed it, if we ever go again we would be sure to visit this place. lovely pics. 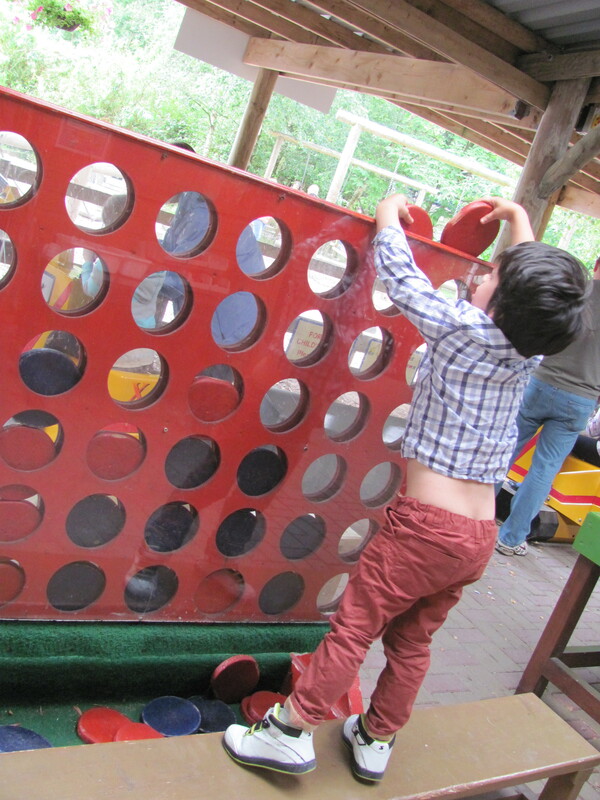 That looks like so much fun – lots of things to keep the children entertained! A packed full day of fun! It looks like they had some fab equipment and activities for a range of age groups. Thanks for linking up and sharing your family day out with Country Kids. What at great day out!